Former Senate Majority Leader Bob Dole has saluted President George H.W. Bush at the casket of the late president. Like Bush, Dole is a World War II veteran. He arrived in the Capitol rotunda in a wheelchair pushed by an aide. 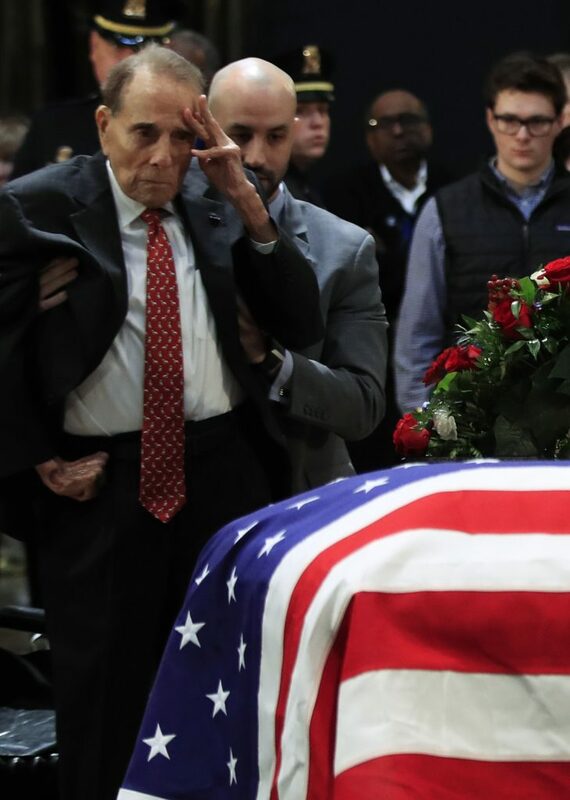 At the casket’s side, the aide lifted Dole, 95, into a standing position. Once steadied, Dole saluted. Bush had achieved the office of presidency in 1988 that Dole sought in 1996 as the Republican presidential nominee.